“After a difficult season in ministry, my wife and I sensed a need to receive input and regain perspective. As we were researching ministry resources, we learned about Marble Retreat. Later, a ministry couple we deeply respect shared with us that they had been greatly blessed by the ministry of Marble Retreat, and encouraged us to go. When we called for more information it became clear that, without a scholarship, attending would be financially out of our reach. Thankfully, through someone’s loving sacrifice and generosity there were scholarship funds available to help subsidize our registration. Let me share a little bit of how we were blessed. We arrived at Marble, questioning if we should continue in pastoral ministry; questioning our ability to continue leading and feeling like we had somehow failed. We left Marble affirmed in our calling, knowing we are loved, and with a renewed capacity for loving and leading our congregation. In March we were blessed to welcome a new board member to our team. 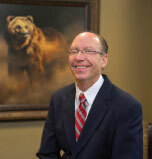 Larry Dupper has been the Chief Financial Officer for Valley View Hospital in Glenwood Springs, Colorado since 1998. Previous positions in Mr. Dupper’s healthcare career include CEO, CFO, and Corporate Regional Finance Director primarily in Colorado and Missouri. Mr. Dupper has been in healthcare administration since 1975. Mr. Dupper and his wife Pam are the parents of four children. 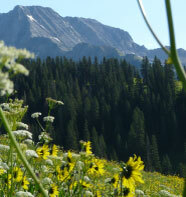 The family enjoys skiing, backpacking, kayaking, Jeeping, and most recently snowmobiling in Colorado and Utah. A native of Colorado, Mr. Dupper has also been a board member of various business, community and religious organizations. Mr. Dupper is currently the President, Board of Directors of the Western Healthcare Alliance, and Chairman of the Board of The Colorado Network (both healthcare non-profit organizations).